So let us face it, there are many pros and cons when it comes to collaboration; however, to continue the winning war against HIV&AIDS it is essential to our victory. When communication and opposing visions clash, it creates an environment where every time you correspond with one another it is like walking on ice. Communication is essential to the success of any relationship and if there is a not a system to ensure everyone at the table has a way of knowing what is going on (including being able to provide feedback on changes) then all hell will break loose. There is an unseen benefit to this because when done correctly and in a manner that is consistent collaborations can be very useful. Apart of the Northern Virginia HIV Consortium Prevention and Education Committee is a perfect example. Nechelle Terrell, Chair of the committee has shared with me that this creates an opportunity for many organizations to work together across their service areas and jurisdictions. Like many community-based organizations across the nation, we are seeing a decrease in available resources. The prevention and education committee utilizes its members to ensure that events have the ability to have additional support from other agencies. In addition, successful best practices and experiences help to ensure organizations struggling to meet certain populations or communities where they are at have some assistance. Resources and talents to better meet the needs of a community (or even audience) are shared and work together to achieve a common goal. As the creator and only person behind Pozlifeofpatrick, I hit a roadblock a year after operation. I was working full-time, going to school full-time, and then taking on more blogging and traveling request than normal. The blog ended up being more of an object of stress in my life. 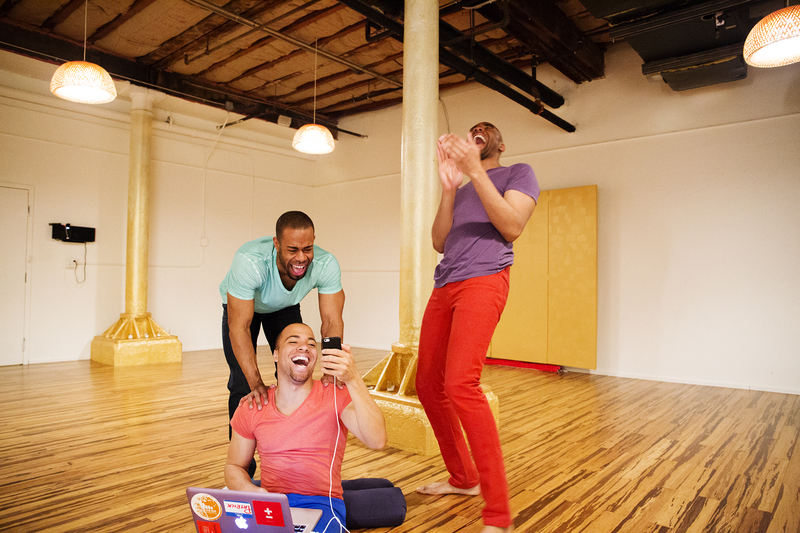 This changed I met two other amazing guys at the Young Black Gay Leadership Initiative’s (YBGLI) 2014 Policy and Advocacy Summit where we agreed to combine our blogging, video, and social media skills into one to create something new. The creation of ThePozLife has received great response from the community. We share responsibilities, which give me the ability to focus more on school and work, but most importantly, we are bringing our specific personalities, skills, and attributes together in our partnership rather than competing for the same or similar audiences. This solidarity and ability to work together shows something that we have forgotten about. When the Normal Heart came on TV, I sat up and watched every minute of it. Like that movie, How to Survive a Plague and even Paris is Burning they all had one common denominator. They were able to work together for a common mission. Today we must be able to place our egos aside and focus on the work for the good of progressing and eventually winning this war against HIV. When we continue to have opposing ideologies about PrEP, HIV Criminalization, and what organizations are not doing we are only hurting ourselves. We must be able to come together in solidarity and work towards a common goal. On top of working as a team we must be able to have each other’s back and not be willing to let injustice happy to our fellow brothers in sisters who are also trying to make a difference in our communities. Now our paths to the goal may be in different forms like demonstrations, policy, blogging, education, and prevention however we all must be at least somewhere on the same page.